→ 16th July – The plan – Always good to have a backup plan! 16th July – The plan – Always good to have a backup plan! The original plan was to go and spend the whole day at a new venue, after the large bream that inhabit the lake. However, as happens quite a lot in our family life at the moment, cunning plans sometimes fall at the first hurdle! So, plan A fails when the hospital ring to say they have a slot for me to come in and be measured up for a dose of radio-therapy. This is because my cancer has decided to start invading me a bit further, my bones this time. The thought of what Kim might do if I turned this down by saying that I was going fishing did not paint a pretty picture, so booking accepted, plan B was decided upon. 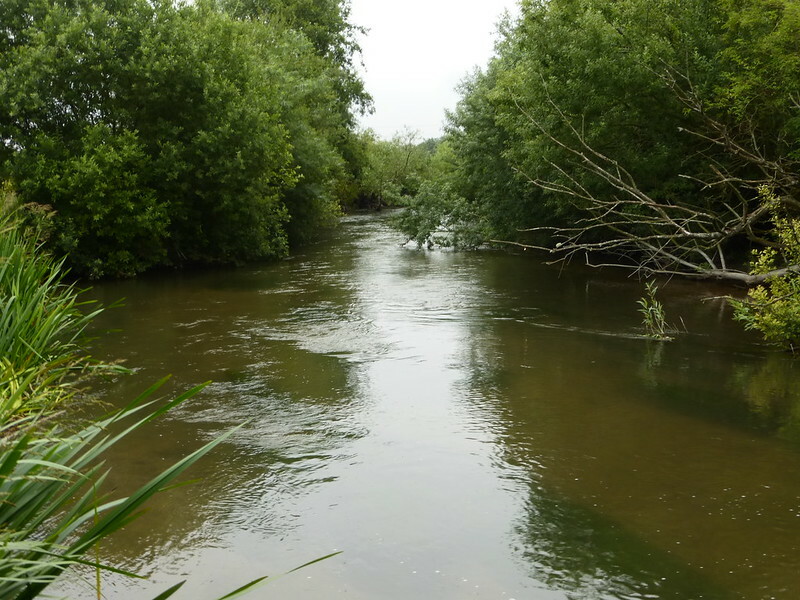 I settled on a morning visit to a couple of sections of the Kennet, first the river at Rainsford Farm, to be followed by a couple of hours on the canalised section at Thatcham and then off to hospital. Arriving at the river I was greeted by the sight of a very low water level and a kingfisher darting off downstream in its characteristic flash of blue, far too fast for me to get a picture, but the view in itself was worth a snap. 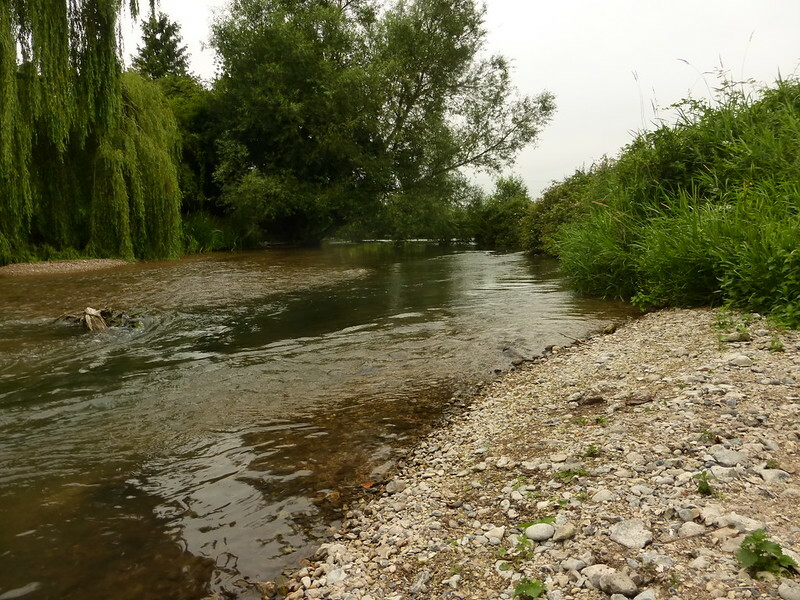 Reports from fellow Kennet anglers had not filled me with a massive amount of confidence, but if you don’t try, you don’t find out for yourself, so armed with a bait-smock full of maggot and hemp I went off in search of a fish or two. Wandering upstream from the car, I was shocked to see how much things had changed since my last visit, but, checking my diary later that evening I found it had been three years previously, so maybe I shouldn’t have been so surprised! I believe the significant changes had been down to the floods of a couple of winters ago, it was almost like fishing a new venue!! One example was what had previously been a nice steady deep run down to some trees was now a gravel bar!! I quickly established that cancer is having a significant impact on my ability to spend hours wandering river banks armed with rod, bait, net and a handful of tackle. It is all turning into a bit of a vicious circle, the cancer saps the energy, and the associated pain makes you less likely to try to undertake anything energetic to build up the stamina, but the body needs to be in the best possible state to combat the disease. So, after just 20 minutes fishing which involves being stood up, knee deep in fast flowing water, constantly trotting a float, and feeding bait, I’m knackered!! One thing I had forgotten was how active minnows are in the summer! Apart from the minnows I found the only other species that was eager to feed was trout, and after catching this one for the second time I decided a change of venue was called for. A two minute drive followed by a five minute walk along the canal path found me with an hour to spare before pack up time so a few maggots were thrown in every 30 seconds or so whilst I had a drink and forced a bar of chocolate down before the trotting gear was again in use. A significant side effect of several of my medications is the change in behaviour of the taste buds. This one has hit me really hard, being a lover of all things edible, and drinkable! As a result, gone is the appetite, which has led to further weight loss, and rapidly disappearing is the liking for many old favourites, such as beer!! Most foodstuffs, and drinks, at times, taste either metallic, or too strong, or too salty, or all of those at the same time. My all time best beers, Fullers ESB and Theakstons Old Peculiar, I’d currently struggle to drink an egg cup full let alone a pint! I suppose looking on the bright side, at least the weekly shopping bill has gone down at bit! Anyway, back to fishing, the canal proved to be a tad more productive before the arrival of three barges in quick succession put the fish off the feed. 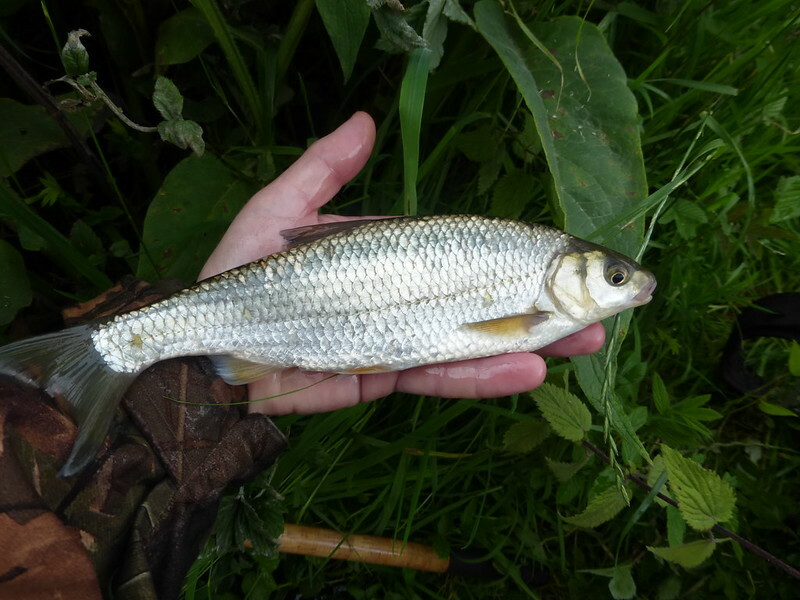 Prior to their appearance I was able to catch several very nice roach, and dace, with the best of the session being a very chunky 9 ounces! 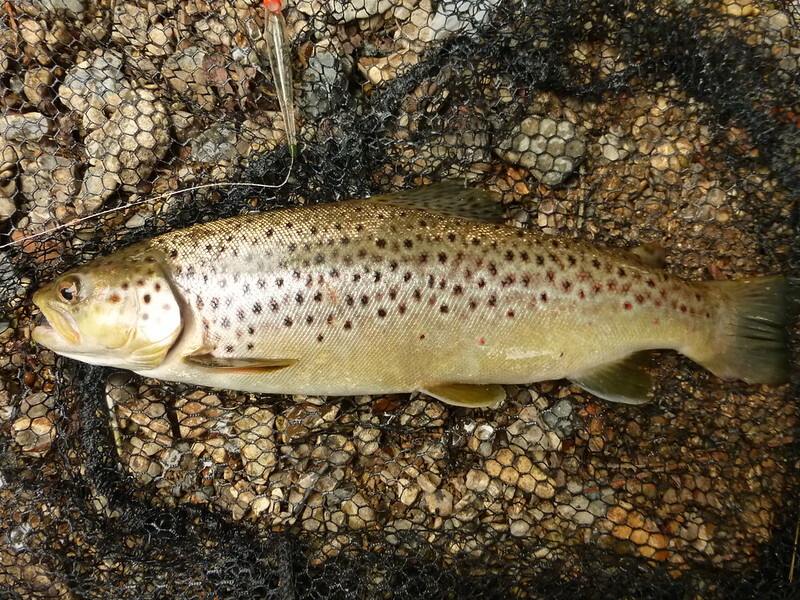 I’d like to catch this one again in the winter when it has put on a bit of weight in the lead up to spawning time….mind you, I’d also like to be still fishing this coming winter!! Whilst my cancer currently seems fairly determined to prevent this, I am just as determined to try and make sure I get to write at least a few winter fishing blog entries! Postscript – I get home from fishing, to find a message on the answerphone, from the hospital, postponing todays appointment, ho hum….the bream will have to wait for another day. Another fascinating read Paul, keep battling! Rainsford is looking a bit sorry for itself at the moment, a far cry from a couple of winters ago. In your second pic last time out I waded from the gravel bar to the other bank and then upstream past the big tree, there’s a slack right under the tree which I thought might hold something but it only produced minnows. This weekend I’m going to try the upper end of the Whitehouse stretch for a change, a place I’ve hardly ever fished. Thanks Rusty, comments always much appreciated, and they help with the frame of mind! Don't forget the backstream on the Whitehouse stretch, although I think that may be more of a winter venue, certainly might be tricky at the moment with all the undergrowth, and low water levels! 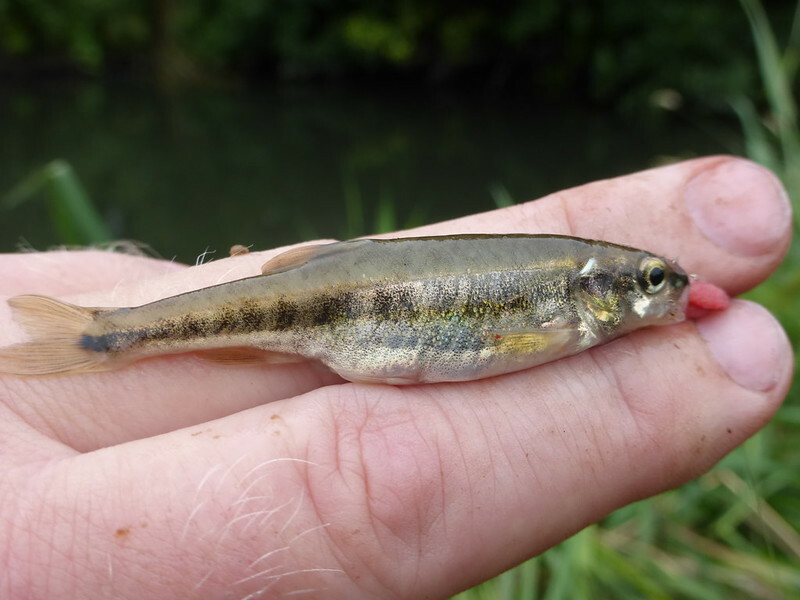 Fantastic to catch a 9oz dace in summer despite the cancer. Well done, Paul! My pb dace is still a lowly 7oz. A lovely deep dace Paul. One of my favourite fish to catch on the stick. 5th June - The plan – A new month, a new target…not really!